Hard to believe a few years ago, however, Amazon beats Google as starting point for product search! A new survey has shown that more shoppers (38 percent) are starting their product search on Amazon than on Google (35 percent). 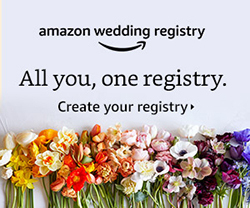 Some of the key reasons cited for this preference are Amazon’s reviews, product selection, free shipping, deals and pricing. Among the 35 percent of shoppers who began with Google 52 percent said they clicked on Google Shopping Results, 41 percent clicked on an Amazon link and a similar number clicked on a retailer link, while 27 percent clicked on brand sites. Read more! Over the years, Google has explored many ways that it might use “freshness” as a ranking signal. In 2003, Google engineers filed a patent named Information retrieval based on historical data that shook the SEO world. The patent not only offered insight into the mind of Google engineers at the time, but also seemingly provided a roadmap for Google’s algorithm for years to come. In his series on the “10 most important search patents of all time“, Bill Slawski’s excellent writeup shows how this patent spawned an entire family of Google child patents. This post doesn’t attempt to describe all the ways that Google may determine freshness to rank web pages, but instead focuses on areas we may most likely influence through SEO. A pattern often seen is that larger and seemingly more authoritative businesses don’t perform as well in local search as they should. There are many reasons for this, and having multiple locations amplifies the need for solid local SEO foundations. A common issue we come across is the lack of a well-optimized and well-performing landing page for local businesses. In this post, you’ll find what off to be the perfect location landing page. You must tick SEO check boxes here, but also maximize the leads generated from these pages – to do this, you have to look at the intersection of lead generation and local SEO. Read more! According to a study by Columbia University and the French National Institute, 59 percent of Tweets are never clicked. That’s not great news for digital marketers or startups, especially those who rely on Twitter as an integral part of their marketing strategy. Anyway, I found some good news here: there are types of content that encourage engagement on Twitter, like using a helpful and interesting headline. 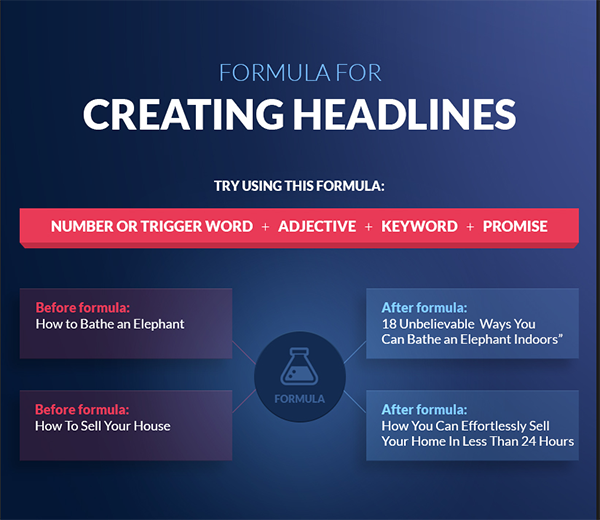 To do well, make the most important point of your story be your headline. Instagram announced the addition of a translation button which will roll out soon. According to the photo sharing platform, “the Instagram community has grown faster and become more global than we ever imagined“. This addition will allow users, and potentially brands, to interact on a global level without the barrier of speaking different languages. Read more! 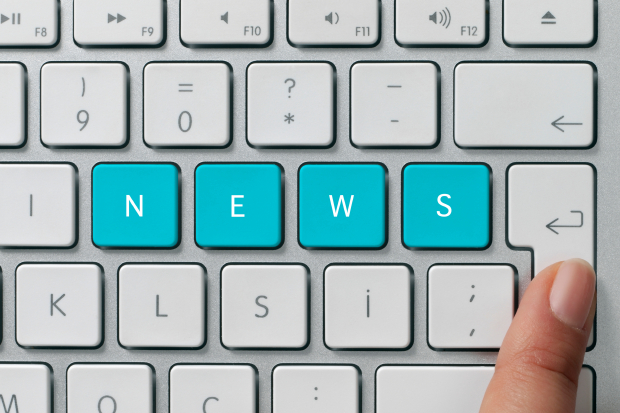 Facebook is altering their algorithm to favor friends and families over publishers. This revelation prompted Buzzsumo to look further into share data trends from the last year, and found that video is driving significantly higher shares than other types of content. What does this mean for publishers? To battle the decrease in visibility, be sure to consider integrating video into your social content marketing strategy. Snapchat introduced what could be a game-changing feature called Memories. Memories changes Snapchat by letting you capture content in the moment, and post to your Story later. You can import existing Snaps, search by caption, get creative with clips and keep sensitive content for your eyes only. However, the feature is kind of a gamble, as it will create a fundamental shift in how people use the app. Knowing whether or not your content marketing is working is one of the biggest challenges that content marketers face. Curata recently published The Comprehensive Guide to Content Marketing Analytics and Metrics, which provides a detailed guide to proving the effectiveness of content through various metrics. To give you a high-level roadmap, they compiled 29 of the most essential metrics into an infographic. Use this as a guide if you’re looking to expand your level of measurement or if you’re just getting started. With the rising acceptance that content marketing for B2B is a viable and necessary tactic, these companies are finding they still struggle with effective content creation. Of all types of content, research reports and videos ranked among the top in terms of production difficulty. These concerns are leading many B2B companies to outsource their content needs to specialists. Onalytica named their top 100 content marketing influencers and brands, and there are some big names on the list. In a digital system where content marketing is becoming increasingly engrained in everything from influencer marketing to SEO, this top give marketers a list of people to look to for the latest and greatest in content marketing though leadership that can be applied throughout their digital strategy. Be sure to follow them to stay up to date on the best content and resources on content marketing! Genesis 2.3 is out and ready for you and your audience! The team opted to go through the backlog of bug reports and enhancement suggestions resulting in a much more polished and stable Genesis Framework. Nathan Rice is at it again and recently published this informative article titled Why You Should Always Use a Child Theme with Genesis. 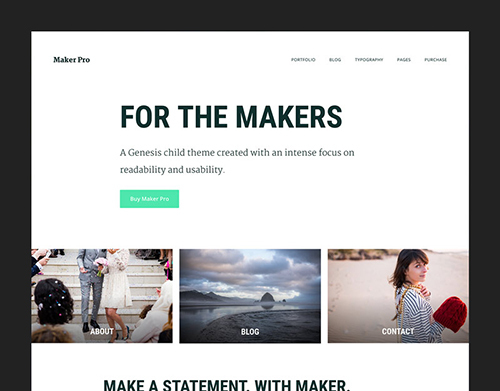 Finally, Maker Pro theme is available online. You’re going to love it. You might have too many ideas for what you want to make, but when you find that perfect idea you have Maker Pro to count on to share it the way your creations deserve. There are author, contact, and landing pages ready to go, and you can choose from multiple column classes. There’s also included a pricing table markup so you can set up a pricing page if you’d like. To further make a site that is truly your own, Maker Pro comes with button classes and text styles, as well. Clean typography and masterful use of whitespace are the hallmarks of Maker Pro. They’ll work together to make your images and content more vibrant on the page. This theme also uses the Genesis Portfolio Pro plugin, helping you to show off your work with style. Britain’s tech start-up scene was having a bumper year in terms of new company creation, fresh funding and acquisitions by global tech players before voters decided to leave the European Union in referendum. Now high-profile companies are threatening to pull out or slow down plans to enter the UK market, international employees are second-guessing their immigration standing and investors could cut new funding that is the lifeblood of young tech firms. Market researchers are predicting a sharp slowdown in UK technology and advertising spending and the longer-term threat that sizeable portions of these budgets will move to the continent. “Nothing’s changed yet but everything’s changed,” said Taavet Hinrikus, the Estonian CEO and co-founder of cross-border money service Transferwise, which is based in London. If you’re sitting at your desk, daydreaming to start your own business, this is the article for you. You already know that launching a company can be an intimidating process requiring tons of hard work. But the question has been lingering with you day and night. Maybe you’re just unhappy with your current position. Perhaps you’ve always dreamed of opening your own shop or consulting firm. Or maybe you just need a drastic change in your life. Regardless of the exact scenario, here are 50 signs that you may be seriously ready to start your own business.